Fair Field Junior School on Watford Road was buzzing today. 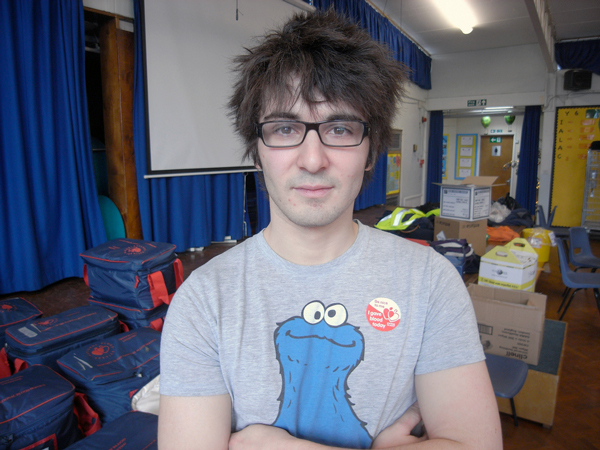 Daniel Renak, one of the organisers of the Joely Bear Appeal‘s regular blood donor sessions, was expecting 150 people to come through the school to give blood during the session. There was a bouncy castle for donors’ children and the kitchen was turned over to catering for donors while they wait (and for the vital post-donation biscuit). I spoke to Daniel about the history of the appeal and plans for the fiftieth donor session, to be held in Borehamwood in the Summer. The Joely Bear Appeal is on the web and on Facebook. There are more pictures from the session on Flickr.